Morey is working with Katrina Running and Vicken Hillis, as well as Kathleen Shipley who is a graduate student at ISU on a project to look at how farmers in southeastern Idaho were impacted by and adapted to irrigation water curtailments in the 2016 irrigation season. Briefly, the objectives of this research are to determine how farmers were impacted by these cuts and what they did to adapt to them and why. They envision this as a multi-year project and plan do follow up research with farmers to understand how adaptation strategies change over time and why. Further, the team plans to assess how cross-scalar institutional, political-economic, and social processes create flexibilities and rigidities with the agricultural system that shape farmer adaptive capacity. Morey Burnham is a Research Assistant Professor in the Department of Sociology at Idaho State University. He is a broadly trained environmental social scientist who works at the interface of climate change adaptation and vulnerability, agriculture, and water in arid and semi-arid regions. 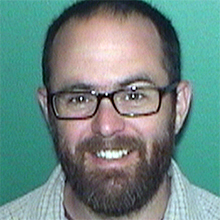 Morey received his Ph.D. in Human Dimensions of Ecosystem Science and Management from Utah State in 2014.